There is no doubt that psychiatric drugs can be helpful in some situations. But the often-lifelong prescription of a substance chemically related to rocket fuel is something to be scrutinized. That antidepressants are commonly found in drinking water should also be reason to reconsider them. Medicine is a wealthy business, and treatments are prescribed by doctors who may be strongly influenced by the primacy of pharmaceuticals in the medical industry (including education); these factors are often lost on those who can barely gather the energy to leave their darkened rooms. Behavior that is considered normal by civilization—predatory self-interest, say—is considered insane outside of the context of civilization. This behavior is created by the denial of basic human nature, such as a desire to feel a part of a mutual-interest culture. If we consider the idea that many symptoms of so-called mental disorders are natural responses of our minds and bodies to an unhealthy, isolating social system, we can then redefine healthy behavioroutside of civilization. We can start to make a conscious effort to reconstruct healthy behavior, remembering that the definitions of healthy, normal, and abnormal behavior have been made by those who have power over us. We can begin to work according to our interests and not theirs. We can reclaim control over our lives and restore confidence and trust in our human nature. 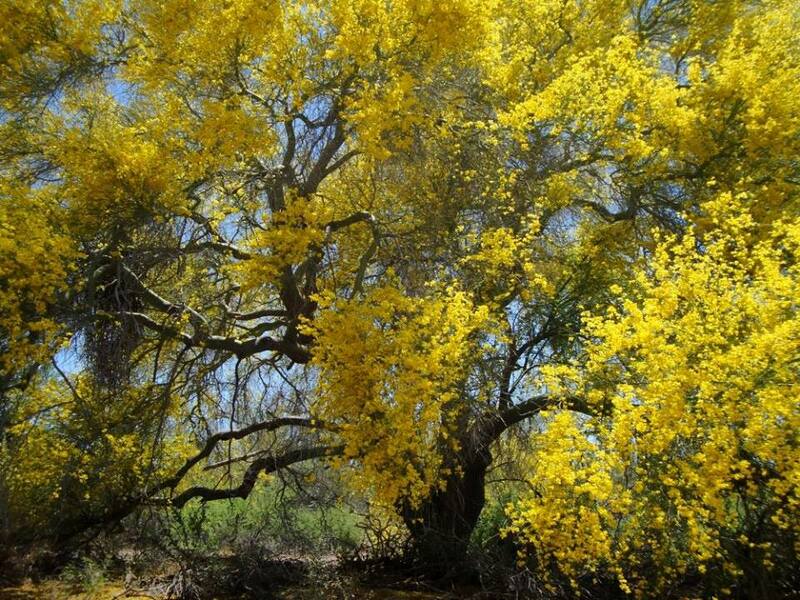 Blue Palo Verde tree in the Saguaro National Park. Deep Green Resistance Sonoran is holding a meeting that is open to the public. This is a great way to connect and share ideas as we build a culture of resistance against empire. Discussion will be on diverse topics ranging from industrial civilization, patriarchy, capitalism, the state of the environmental movement, underground promotion, direct action, skill shares, local issues, and more! All are welcome to attend! Resistance is fertile. Please join us! 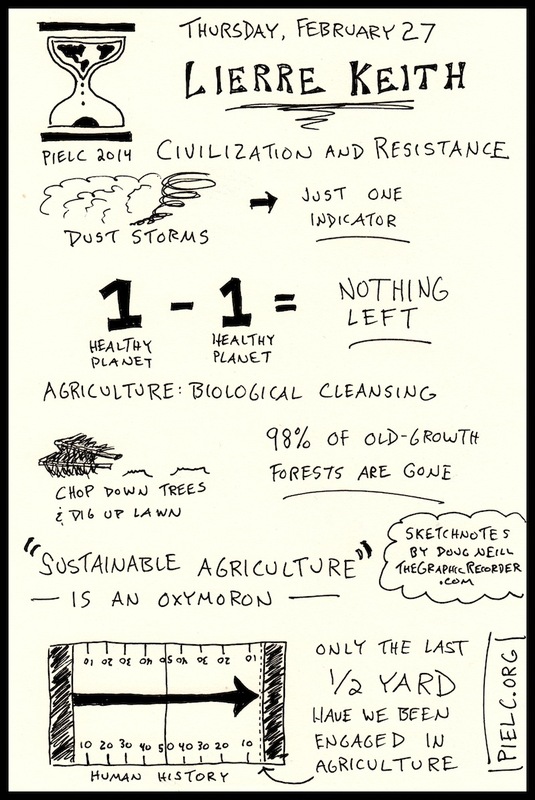 To learn more about Deep Green Resistance, see our website: http://www.deepgreenresistance.org/who-we-are/about-dgr. You can also follow our local chapter webpage at http://deepgreenresistancesonoran.org/. It’s been known for well over a year now that a jaguar has been photographed in the Santa Rita Mountains, near the proposed Rosemont Mine site. But only a little more than a week ago, volunteers for the Tucson conservation group Sky Island Alliance found and photographed the first jaguar tracks to have been spotted in that mountain range in recent times. The tracks were seen on Jan. 4, by two volunteers. The volunteers found these tracks along a trail where there were also mountain lion tracks, which allowed for a better comparison and more accurate identification, the alliance said. However, the alliance doesn’t know if these tracks belong to the same jaguar that has been repeatedly photographed in the Santa Ritas. Last week, the alliance showed photos of the tracks to Melanie Culver, a University of Arizona geneticist. Culver, who is part of the team of UA researchers working on a federally financed, remote camera study of jaguars, confirmed to the Star that these were jaguar tracks. Culver is the jaguar camera project’s principal investigator and a geneticist for the U.S. Geological Survey and the UA’s School of Natural Resources. “Nobody on my team who looked at the tracks believed they are not of a jaguar,” Culver said. The tracks were found in a steep, rugged area, about three to four miles south of the proposed Rosemont Mine site — “a day hike for a jaguar, or a person,” said Sergio Avila, a biologist who is the alliance’s Northern Mexico conservation manager. The track was found along a well traveled hiking trail that is part of the Arizona Trail. The area is steep with thick vegetation and with water and wildlife literally everywhere that day, the alliance said. The trail was muddy after the last rains and the tracks were naturally outlined and casted in the soil, the alliance said. The tracks provide continued evidence that this area is still jaguar habitat, and that non-invasive methods such as this to track jaguars are useful tools, Avila said. “Regardless of the mine, it’s important that the public knows about this,” Avila said. “For many years, jaguars have been sending us a message, saying they want to live in Southern Arizona, that the Sky Islands are their home. “That is a message that we need to hear, loud and clear,” Avila said. The continued presence of jaguars in southern Arizona is testament to the healthy habitats, prey populations and wildlife corridors across the region, the alliance said in a statement. The tracks were also found four years to the week when remote cameras run by the alliance photographed a jaguar for the first time in northern Sonora’s Rancho El Aribabi, about 30 miles south of the U.S. border. A jaguar was photographed on Jan. 2, 2010 and again on Jan. 10. The sound of heavy equipment clearing desert can easily be heard from the historic guest ranch that Richard Schultz runs a few hundred feet from the international border. While walking through a thick grove of mesquite trees between the 90-year-old ranch once frequented by Hollywood stars and Washington, D.C. politicians, Schultz says he can only guess as to where Kinder Morgan wants to put the pipeline in relation to his ranch. He points to some small hills just west of his guest ranch, noting his sole communication with Kinder Morgan has been a single postcard notifying him of a public hearing. Schultz worries that a massive, denuded section of land near his ranch will hurt his business, which has for decades attracted people from around the world looking for a true taste of the Old West. Sarah King can trace her husband’s ranching roots in the Altar Valley back to 1895. Fences crisscross the 55,000 acres her herd of roughly 300 cows graze on. Her worries focus on smugglers who might use the north-south path of the pipeline to bring drugs into the county. History, she says, has taught her that criminals use the path of least resistance, cutting a fence even if there is a gate 20 feet away. A cut fence might not seem like a big deal, she said, but it impacts her bottom line every time a cow escapes. Kinder Morgan, she said, has told her that it won’t be responsible if an increase in smuggling leads to problems on her ranch. King said it is impossible to know how much the pipeline will threaten her family’s century-old ranch. A small pond fed by seasonal rainwater on one end of the Sierra Vista Ranch has provided Melissa Owen with countless hours of enjoyment. Her motion-activated camera has caught bobcats, javelinas, deer and even a jaguar getting a late night drink. She is concerned the earth-moving equipment will destroy the precious watering hole. “This is an extremely important area for wildlife, not just my ranch, but for all the nearby ranches,” Owen said. She faults the draft version of the environmental impact statement for not looking at the hydrological impacts the pipeline would have in the area. History is on her side, pointing to the surveying stake put in the ground a few years ago when El Paso Natural Gas — now known as Kinder Morgan — wanted to build a pipeline to send natural gas from Mexico to Tucson. Officials offered to route the pipeline around the pond, but the new route would essentially cut off the runoff from nearby hills after the monsoons. With the eastern edge of her property bordering the Buenos Aires Natural Wildlife Reserve, Owen believes Kinder Morgan is playing politics with the route of the pipeline. The preferred route was moved out of the boundaries of the wildlife reserve because the pipeline did not meet its goals or mission. Owen, who said her property isn’t for sale at any price, wonders why Kinder Morgan won’t listen when she says the denuded no man’s land created by the pipeline doesn’t meet the core mission of her ranch. “What happens to me is a microcosm of what happens to the entire Altar Valley,” she says. TUCSON- The controversy surrounding the proposed Sierrita Gas Pipeline continues as local ranchers, county and state organizations share their concerns about the project. The $204 million international pipeline would stretch about 60 miles, starting west of the Tucson Mountains and connecting with lines across the border to deliver natural gas to Mexico. The comment period for the project’s Draft Environmental Impact Statement, or DEIS, just closed on Monday. Kinder Morgan Incorporated owns the project and says it will create jobs, boost tax revenue and local business. However if you look at some of the comments submitted, it is obvious not everyone sees it that way. In his comments, Pima County Administrator Chuck Huckelberry calls the DEIS “significantly and fatally flawed,” citing public safety and environmental damage as two of the county’s concerns. Kinder Morgan’s Communications Director tells News 4 Tucson this is the exact reason the DEIS is so important, so stakeholders can share their comments and Kinder Morgan can integrate those into the final EIS. As of right now, the company is hoping for final approval in mid-2014, to be up and running by next September. Close to 300,000 trees, mostly junipers and oaks, would likely be cleared on public land in the Santa Rita Mountains if the proposed Rosemont Mine is built. Clearing those trees will be controversial, but at this moment, it’s not known what will happen to them afterward. The U.S. Forest Service will charge Rosemont Copper for any cut trees removed from the site, and those proceeds will go to the federal Treasury. The trees, which are common, aren’t legally protected. The Star learned the amount of trees slated for clearing last week after obtaining Forest Service documents on the subject under the federal Freedom of Information Act. The service estimates 23,261 cords of wood, or roughly 66,000 tons, are on public land slated for clearing. A cord measures 4 feet deep by 4 feet high by 8 feet long. “Rosemont has agreed to buy them. … Some will be left on site for reclamation. Whatever is left over, then it’s their call what to do with them,” said Mindy Vogel, the Coronado National Forest’s geology and minerals program manager. Mine opponents say the tree clearing would symbolize Rosemont’s ecological damage. They say the trees offer good habitat for many bird species in the area. Rosemont officials won’t comment on the trees until the Forest Service releases a draft decision on the mine. Officials of Tucson businesses that sell firewood and wood for furniture making say a market exists for timber sold from the site, although there isn’t a shortage of it. Forest Service officials say tree remnants can be mixed with soil for reclamation, which is slated to begin when mining starts. The trees can stabilize soil and promote a variety of vegetation, the service said in its final Rosemont environmental impact statement. Until final reclamation plans are approved — which won’t happen until after the service decides on the mine — it’s impossible to say how many trees will be used that way, Vogel said. New trees will be planted for reclamation, but their locations aren’t worked out and have been a source of disagreement between the Forest Service and the mining company, records obtained by the Star show. In its Rosemont environmental report, the Forest Service said 20 to 25 tons of “large woody material” per acre can be used for reclamation. Some material suitable for reclamation could be stored in temporary stockpiles, but no large-scale stockpiles would be maintained on public land, the statement said. In July, Coronado official Michele Girard wrote in an email that while Rosemont Copper’s draft revegetation memo said the company will use all the woody debris on-site, since most of the area will be cleared and only a few hundred acres reclaimed in the first couple of years, “there will be way too much wood initially to use as it is generated. “Then what do you do with what is left over? … ,” wrote Girard, the Coronado’s watershed program manager. The Coronado Forest is scheduled to release a draft decision on the mine Friday. The federal government charges $5 per cord for firewood to the public and $300 per cord for commercial sale. In a statement, Rosemont Copper said until the draft decision appears, “and we know which alternative has been selected, and we know what the conditions of approval are, it would be inappropriate for us or anyone else to make assumptions, to speculate or to comment on the issue,” said Jamie Sturgess, the company’s senior vice president for corporate development and government affairs. Last August, Coronado National Forest surveyors on foot found about 92 trees per acre on 3,171 acres of forest on the proposed mine site. While the company could ultimately decide some trees won’t need clearing, the service assumes in its environmental report that “they’re going to all be gone,” Vogel said. The proposed mine site in the Santa Rita Mountains is part of an important wildlife corridor that connects southern Arizona’s sky island mountain ranges — isolated mountains that rise up from surrounding lowlands — that are home to unique plant and animal species. 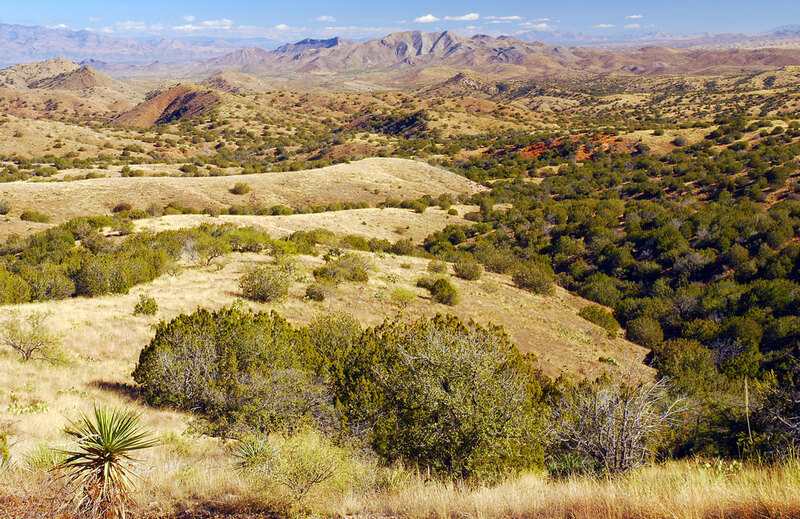 The US Forest Service seems to have been unusually eager to help a Canadian mining company with a dubious track record and financial troubles set up an open pit copper mine in Arizona’s Coronado National Forest. The agency’s efforts, however, might be in vain. Despite serious environmental concerns about the project that need careful study, the US Forest Service released an incomplete draft of its final environmental impact statement (FEIS) for the proposed mine on July 1 and asked the more than two dozen local, state, and federal cooperating agencies to send in their comments within 30 days. Original article by Tony Davis, Arizona Daily Star. Opponents of the proposed Rosemont Mine have filed suit, seeking to overturn a state decision awarding a groundwater protection permit to mine owners Rosemont Copper Co. The permit allows the company to discharge materials if it can show it’s using the best available technology to keep pollutants from reaching groundwater. The suit, filed last week by 14 individuals and groups, challenges the July decision by the State Water Quality Appeals Board to uphold issuance of the permit by the Arizona Department of Environmental Quality in April 2012. As it stands now, the state permit should be called the “Rosemont aquifer pollution permit,” said Gayle Hartmann, president of the mine opposition group Save the Scenic Santa Ritas, which is one of the plaintiffs. Other plaintiffs include Richard Walden and Nan Walden, who are executives of the pecan growing Farmers Investment Co.; environmental groups Sky Island Alliance, the Coalition for Sonoran Desert Protection and the Center for Biological Diversity; and eight residents of Tucson, Green Valley and Vail. Mark Shaffer, an ADEQ spokesman, noted that the department’s decision granting the permit was upheld “independently and unconditionally” by the water appeals board after nine days of testimony before the State Office of Administrative Hearings. ADEQ has said its review evaluated Rosemont’s pollution control technologies in relation to the mine site’s environmental surroundings in the Santa Rita Mountains, 30 miles southeast of Tucson. “We are confident the permit, as issued, will be protective of the state’s water quality,” Shaffer said Tuesday. Kathy Arnold, a Rosemont Copper vice president, said the law judge ruled on 500 findings of fact and reached 33 conclusions in support of ADEQ’s work. She said she’s confident the permit will survive and that the suit won’t delay Rosemont’s permitting and construction timelines. “These last-minute actions have been anticipated as it is a common opposition tactic. They seek delays,” Arnold said, in part. That the water board and the judge failed to consider the mine’s potential impacts to surface water, as required by state law. Opponents are concerned that if the mine were to contaminate groundwater, its pollutants could rise into surface water because the two are connected. The mine plan has changed since ADEQ issued the permit. Rosemont has since decided to eliminate heap leaching of copper oxide and increase production of copper sulfide. The appeals board failed to require ADEQ to consider impacts on plants and animals from groundwater pollution, which the suit says is also required. Opponents say they’re concerned that Cienega Creek and Davidson Canyon near the mine site could be contaminated by groundwater pollution rising to the surface, impacting a source of Tucson’s groundwater and imperiled wildlife such as the Gila chub and the Chiricahua leopard frog. “This permit should be sent back to the Arizona Department of Environmental Quality so that it can do what it should have done in the first place — thoroughly analyze the potential harm that the Rosemont copper mine would do to people, plants and wildlife,” said Randy Serraglio, a conservation advocate for the Center for Biological Diversity.